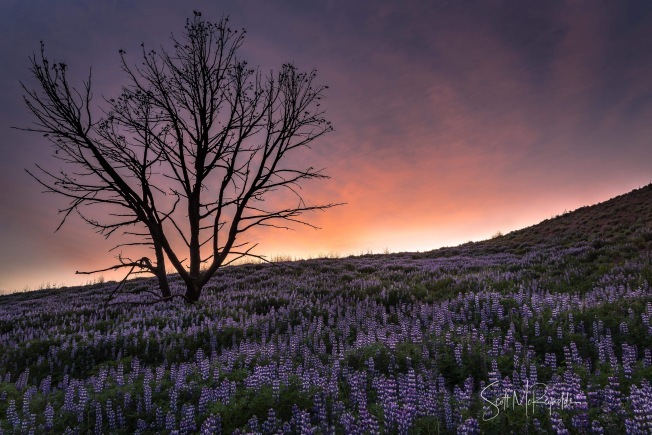 A weekend crush of visitors swarmed the Lake Elsinore area southeast of Los Angeles, drawn to its fields of wildflowers for a stunning late-winter bloom. But the influx forced the city to close off the Walker Canyon trail due to conditions described as "unbearable." Looking for an alternative? Blooms at the locations below vary in size and spectacle, but you'll still enjoy a spring visit. Peak season in Los Angeles County is usually mid-March to early April, so there are still a few more weeks before it's all over. Do you have a favorite location or photo to share? Click here. Note: Some areas might be subject to closure due to winter rainfall. Visitors should be aware of rules, especially at state nature reserves, and possible road closures. Yes, it's a long drive from LA, but there are several locations within the park to find wildflowers at this state park about 150 miles southeast of Los Angeles. Like many state parks, Anza-Borrego posts updates on its wildflower bloom. Poppies and other flowers are expected to reach peak bloom in April at the reserve north of Los Angeles. There are trails that loop through the fields of brilliant orange. Call the reserve hotline for status updates at 661-724-1180 or click here for information. Located west of the Antelope Valley reserve, this state park also offers a lot to view. Click here for location and information. This vast nature area is about 170 miles from LA, so be prepared for a journey and an adventure. Click here for information. Irvine Ranch Natural Landmarks is here to help this spring. The OC organization has tours and wildflower updates here. The park was damaged in a November 2018 wildfire, but some areas have recovered in time for a late-winter bloom. You'll find purple lupin and California poppies along Crags Road Trail. Click here for information. Located off Long Beach, the island is part of a chain that features hundreds of species of plant life. Click here for details. North of LA and east of the 5 Freeway, Tejon Ranch is a sprawling conservation area. The Tejon Ranch Conservancy offers a community hike program that explores the area's wildflowers. Details are here. This is a State Vehicular Recreation Area, one of nine SVRAs in California. It's in eastern Kern County near Highway 14 on the edge of the Mojave Desert. What to know about SVRAs. The Palos Verdes Peninsula Land Conservancy offers nature walks and a list of best hikes. Located south of Oxnard off Highway 1, the park has about 70 miles of hiking trails. Wildflowers are blooming in the La Jolla Valley. Click here for updates. Click here for other locations around California.